When auditing firm Nkonki fell in the Gupta orbit via a management buyout funded by Salim Essa, things started going very right for it at Eskom. By Susan Comrie and Stefaans Brümmer for AMABHUNGANE. National Treasury could hardly have been more explicit: lavish consulting contracts using weird and wonderful pricing models would no longer be tolerated. For years Treasury had been trying, through memos and practice notes, to drum this into state-owned entities like Eskom – with little success. Just over a year ago, a damning report warned Eskom that one of these contracts – where global consulting firm McKinsey was paid “at risk”, meaning it would get a percentage of savings it identified – had left the power utility open to “excessive economic exposure”. Eskom faced a potential R2.8-billion claim for savings that might never materialise, the report warned, and was forced to settled for R1.6-billion. Taking on another contract like that would be like going back for second helpings of cyanide. But that is exactly what Eskom did. In early 2017, Eskom signed a new “at risk” consulting contract with PwC, one of the world’s largest auditing firms. Tagging along for a potential billion-rand ride was local auditing firm Nkonki – and standing behind Nkonki, as Part 1 of this investigation showed, was Gupta lieutenant Salim Essa. He had financed a “management buyout” intended secretly to make him or others tied to the Guptas the main beneficial owners. Nkonki is not the first company to score a major deal from a state-owned entity shortly after falling into Gupta orbit. For McKinsey, it was allegedly its partnership with Essa’s consulting firm Trillian that untied Eskom’s purse-strings. Yet Nkonki’s sudden windfall was mere coincidence, according to its chief executive, Mitesh Patel, who became the firm’s new owner in the Essa-funded management buyout, at least on paper. Patel, who has denied fronting for Essa or the Guptas, responded to amaBhungane’s latest queries with a lengthy lawyers’ letter labelling our claims “extravagant”. What follows is the series of events we laid out for Nkonki, PwC and Eskom. There was nothing particularly unusual about the contracts Eskom signed with consulting firms in July and August 2016. When Eskom cancelled the controversial McKinsey contract in June 2016 Eskom executives recommended that the work be “redirected to other existing contracts”. By this stage Eskom’s board had already agreed to appoint two panels of pre-approved consultants. Panel A would be the big firms like PwC, McKinsey and KPMG, while panel B would be made up of smaller local firms. Each firm signs an enabling contract with Eskom but would still have to bid for specific projects. The hourly fees in the enabling contract of between R550 and R2,836 were slightly higher than those allowed by Treasury, but as one consultant told amaBhungane, “most international firms would be unwilling to work with a state-owned enterprise” at those rates. The new contracts had a simple provision for empowerment, or “supplier development”: Panel A members would be required to subcontract between 15 and 25% to “panel B members only”. Around this time, as we reported in Part 1, the Nkonki deal was first put on the table. Although the precise genesis of the deal is disputed, it is common cause that Trillian was involved. Patel appointed it as transaction advisor on 1 September, and it ended up routing the funding on Essa’s behalf. Nkonki had fallen into the Gupta orbit. But if Nkonki’s new connectivity was to be turned into dividends at Eskom, it had two problems: It had failed to make the cut for Panel B, meaning it was not pre-qualified to partner Panel A members on big consulting contracts. And even if that could be turned around, it needed a Panel A member to partner with. That September, PwC submitted a bid for Eskom’s “capital scrubbing” project, where consultants would be asked to identify capital expenditure that could be scaled back or cancelled in order to save Eskom money. Even though Nkonki was not on Eskom’s panel B, PwC selected it as its supplier development partner. Aurecon was brought on board as the team’s technical partner. “(T)o be clear both those parties were our choices… Nobody said to us you need to use them if you want to secure this work,” PwC Africa’s chief operating officer Fulvio Tonelli told us in an interview. PwC is the world’s second largest professional services company with $37.7-billion in revenue last year. Nkonki was much smaller but not an unusual choice for PwC. The two firms had worked together at Transnet and SAA. And unlike Trillian, which was parachuted into the McKinsey contract without a track record, Nkonki was known in the industry and at Eskom. Still, PwC’s contract required it to select a partner from panel B. A day after the bids closed, Eskom’s board tender committee met and agreed to add a third panel of consultants – Nkonki would be part of this panel C.
“(T)he process for panel C appointments were well-under way, and we had understood that the panel C appointments would be finalised … imminently, so whether or not they were on the panel on the date that we submitted our first bid I can’t tell you,” PwC legal head Anton du Randt told us. 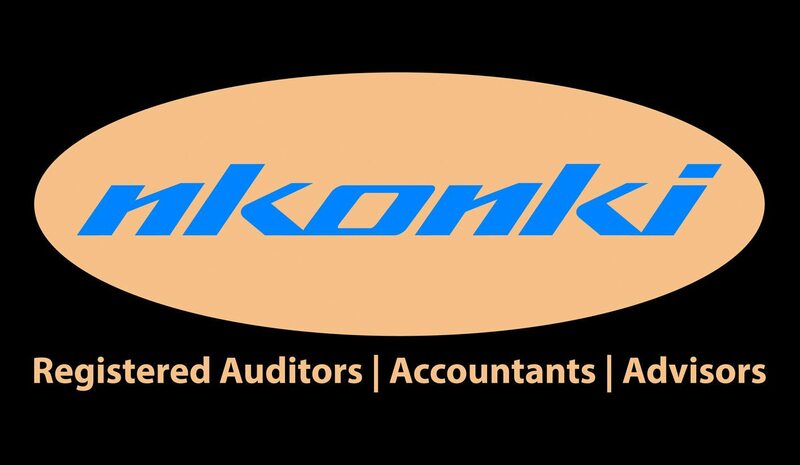 As we shall see, soon after PwC selected Nkonki as partner, Eskom started tweaking PwC’s enabling contract – making the fees more lucrative and expanding its scope – while at the same time insisting that PwC’s supplier development partner – Nkonki – be given a bigger cut. All of this coincided with the Essa-funded takeover of Nkonki. There is no evidence that PwC was aware of its partner’s connection to Essa and the Guptas, and for weeks PwC has co-operated extensively with our investigation, providing several written responses and a lengthy interview. Like every major company caught in the Gupta crossfire, PwC denied that it knowingly partnered with a Gupta-linked firm or that the lucrative contract it received from Eskom was dependent on passing back fees to a politically-connected partner. Whether anyone at PwC knew about Nkonki’s new-found connections remains unknown. What is striking is how many multinationals – SAP, McKinsey, Liebherr – have blindly gotten into bed with the Guptas and Essa, collecting astronomical fees in the process, only to wake up in the glare of the media spotlight. PwC told us that its bid for the capital scrubbing project initially included a “dual fee structure” made up of “fixed fees and risk-based remuneration”. Then over the course of a week while the bids were being adjudicated in October 2016, Eskom changed the rules. According to Eskom, “the risk-based model was selected to incentiv(ise) the service provider to achieve maximum possible savings”. The deadline was tight. According to PwC, Eskom made the request for a new quote on Thursday 20 October and set a deadline of Monday 24 October. Over at Nkonki’s Sunninghill offices, the ink was still drying on the sale agreement for Patel’s management buyout, signed just days before on Monday 17 October. The agreement would give Patel 81.8% of Nkonki – although, as we revealed in Part 1, Patel was to front largely for Essa or others tied to the Guptas. Two weeks later, at the end of October, Patel received the first transfer of shares. Behind the scenes, Essa must have been smiling. Nkonki, like Trillian before, was in line for lucrative “at risk” work at Eskom. And the loan agreement Patel had just signed to buy Nkonki’s shares would ensure that 65% of Nkonki’s profits would flow towards a Gupta-linked company. In January 2017, Eskom put out the welcome mat. The first project contract Eskom signed was with KPMG, another panel A member. It was required to introduce a new supply chain management operating model at Eskom. Total cost: R69.8-million – 40% of which would go to Nkonki as supplier development partner. The second and far more lucrative contract was the “capital scrubbing” project with PwC. But before the contract for the project could be signed, Eskom made two important changes to its enabling contract with PwC. First, Eskom officially introduced the new “at risk” pricing model it had added during the bidding process. Eskom told us the same pricing model was intended to be used with all panel A and B members, although internal Eskom documents show that PwC was the only firm that was issued with a contract. The second change was that PwC would now have to subcontract at least 40% – up from a maximum of 25% before – to a supplier development partner from either panel B or panel C.
This meant that three months after being selected by PwC, Nkonki was finally officially eligible and in line for a bigger slice of the fees. In a written response Eskom told us the decision to increase supplier development partners’ cut was signed off by Eskom’s board on 19 October 2016. This was just two days after the Nkonki sale agreement was signed. In other words, within days of the management buyout being clinched, Eskom made two sweeping changes that would benefit Nkonki. It seems fair to say, however, that Essa and and the Guptas still held considerable sway at Eskom. Executives and board members aligned to them were removed in a series of purges starting in September 2017 only. Exactly how much PwC and its partners stood to earn from the capital scrubbing project remains unanswered, despite amaBhungane receiving 49 pages of responses from PwC, Nkonki and Eskom over several weeks. The project contract, or “task order” for the capital scrubbing project that PwC and Eskom signed in February 2017 allowed the consultants to charge between 5 and 7.5% of savings identified. Eskom set an initial target of R30-40-billion in savings. A straight line calculation puts the potential fees at between R1.9-billion and R2.4-billion over two years, far outstripping Eskom’s R1-billion yearly spend on consultants. Eskom told us: “The fee structure was not a simple percentage calculation but was impacted by a number of modifiers.” Eskom refused to provide an alternative figure but conceded there was “no cap on the fees”. PwC told us Eskom negotiated further discounts – but how much it would also not say. “I think that figure would be proprietary and confidential. If that figure had to get out there, competitors … could understand parts of our business model,” Du Randt said, but in a written response PwC added that it considered these fees “reasonable” and in line with “industry norms and standards for a project of this magnitude and complexity”. PwC also disclosed that Eskom later upped the savings target to R65-billion. This pushed the straight-line fees (before Eskom’s undisclosed discount) up to R3.6-billion – a figure PwC also disputed. The contract required PwC to subcontract 3 to its supplier development partner – which for Nkonki could mean up to R1.1-billion in revenue from a single two-year contract. To put that into perspective, Nkonki’s income for the entire firm in 2016 was R153-million. IT company Global Softech Solutions, part-bought by the Guptas, went from a turnover of roughly R53-million in 2015 to, just months later, being picked as German IT giant SAP’s supplier development partner on an R800-million Transnet contract. GSS would have received R500-million had the deal gone through. In April, Eskom tried to sweeten PwC, Nkonki and Aurecon’s deal even further by including a separate project to identify private companies that could form joint ventures with Eskom. Although the negotiations on fees were never finalised, PwC said the proposed fees stood at a “market-related rate” of 0.25 to 2% of up to R65-billion in projects. A straight line calculation puts the potential fees at between R162.5-million and R1.3-billion, but again PwC disputed the figure without providing an alternative. There is no indication that other consulting firms were given an opportunity to bid for this project although PwC insisted this additional project fell within the scope of the “capital scrubbing” contract. The exact nature of the work the consultants did over the next few months to scale back Eskom’s capital budget remains unclear. For Aziz Laher, Eskom’s group compliance manager, the email of 4 August 2017 must have felt horribly familiar. In late 2015, Laher had warned Anoj Singh, Eskom’s chief financial officer, that any payments to McKinsey using an “at risk” pricing model would be classified as “irregular expenditure”. Singh ignored him and signed the contract anyway. And now, almost two years later, Laher had just discovered from a colleague’s email that almost identical contracts had been offered to big-name consulting firms. “This is very problematic,” he emailed back. Within a few days though the true scale of Eskom’s financial delinquency became apparent. What Eskom legal did not know at the time was that PwC’s first invoice for R270-million was already on its way to Eskom. PwC said it would unfair to liken the McKinsey at risk contract and its own capital scrubbing project and that “one cannot nor draw simplistic parallels” between the two. But the parallels are hard to ignore. Like the McKinsey contract, PwC was entitled to an upfront payment – R60-million. And then it could invoice for 100% of its fees as soon as savings were identified and approved by Eskom’s board, but before any scrubbing exercises had actually been implemented. This left the risk that the consultants would be paid regally for savings never realised. When Eskom’s legal department finally got its hands on a copy of the PwC contract, its assessment was that the terms and conditions of the two contracts were “almost identical”. In response, PwC provided us with a bullet-pointed list of some of the differences (see PwC’s response). Nkonki’s attorneys said that our “attempt to tarnish” Nkonki was “factually incorrect… (Nkonki) expresses its umbridge (sic) at your naked attempt to impugn its integrity in drawing parallels with the McKinsey and PwC contract when there is no nexus or similarity between the two”. When PwC submitted its first invoice to Eskom for R270-million, it was based on the claim that its consultants had secured R6.5-billion in savings for Eskom. Spending R270-million to saving R6.5-billion seems like a good deal, but much like Eskom was previously warned that the McKinsey and Trillian consultants might have claimed credit for Eskom employees’ ideas, Eskom officials were sceptical about what the consultants had brought to the table. In a September 2017 memo – which reads like an eight-page telling-off to Eskom’s procurement department – Eskom’s legal team said that almost all of PwC’s R270-million claim was “subject to dispute”. “The Work Package Manager has confirmed via e-mail that for the ‘No loads tech plan and No loads outages (project)’ the savings were identified by Eskom but only verified by the Consultant and thus there was NO value added,” the memo reads. The whole thing was, Eskom’s legal department warned, “of great concern, not only in terms of the exposure that Eskom faces” but also because any payments “made in terms of the risk-based remuneration provisions will be classified as irregular expenditure”. In a worst case scenario this could “trigger immediate repayment of all outstanding debt obligations to lenders,” Laher and Ramprsad warned. PwC told us that it was around this time it “informally” discovered that Eskom had lied about their “at risk” contract having National Treasury approval. “During negotiations, it was made abundantly clear to us by the Eskom procurement team that risk-based contracting … carried both Treasury and Eskom Board approval. This was probably a wise choice considering the public backlash to Eskom’s then recent confession that, despite months of denials, it had paid McKinsey and Trillian R1.6-billion. PwC said it ultimately received around R95-million for identifying R56-billion in savings that are in the process of being approved by Eskom. In the end, Nkonki received just R17.7-million from the capital scrubbing project. The hundreds of millions that might have come its way was cut not just by the reversion to Treasury-approved rates. It received less than the 30% of the eventual fee as it was paid “in line” with the actual work it performed, PwC said. We asked Eskom to provide us with a list of all the contracts issued to the strategic, business and management consulting panel, pointing out that this may show that the contracts Nkonki and its partners benefited from only made up a fraction of Eskom’s consulting spend.